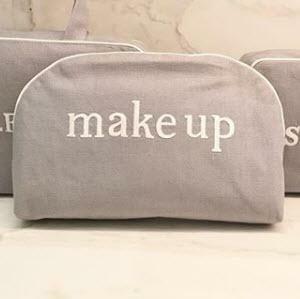 The large rounded top zip cosmetic bag is an elegant travel case made by Walker Valentine. 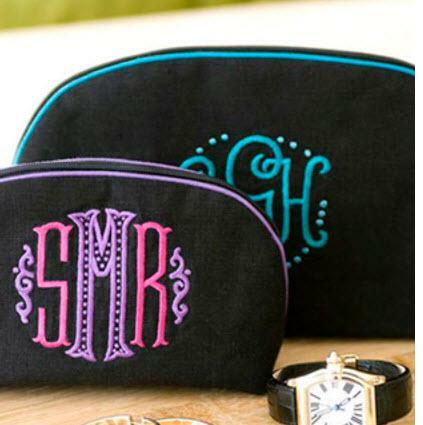 This case is lined to perfection along with elegant monograms including Applique as shown on the above photo or the popular 2 tone embroidery styles. 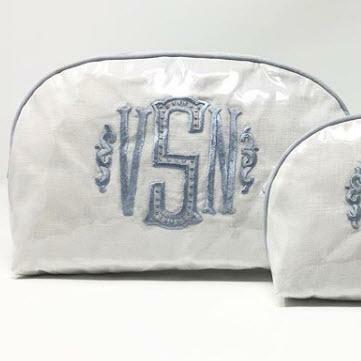 Choose your base fabric, trim color (thread will be matched to trim), and monogram style to create the stylish travel bag to hold all your cosmetics. Add a protective outside vinyl layer to make sure your bags will be easy to clean for years to come. 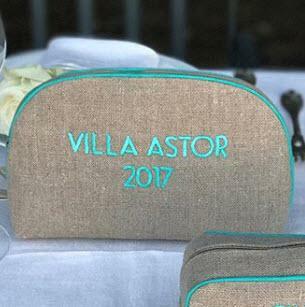 Need help designing your bag? Just give us a call and we can walk you through it 864-271-3587. The large rounded top zip case measures 9 " by 6". Don't forget to add vinyl to protect your beautiful bag. Price: $189.00 In stock! - Browse this brand: Walker ValentineOur products are custom made to your specifications. This product ships up to 8 weeks after your order is placed.